Kathy Ehmann-Clardy graduated from the University of North Texas with a Bachelor of Arts degree in Psychology. She earned her law degree at Texas Wesleyan School of Law, in Fort Worth, now Texas A & M University School of Law. Ms. Ehmann-Clardy began her law career at a large, multi-state Hispanic law firm, practicing immigration, family law and criminal law. She has represented hundreds of clients in federal Immigration cases in three states. 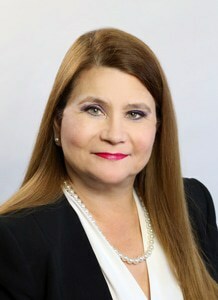 For the past several years she has exclusively practiced criminal law at Dunham & Jones and uses her immigration law background to successfully represent individuals with status issues. Kathy enjoys trial work and has successfully represented clients facing serious criminal charges such as DWI, Assault Family Violence, and Sexual Assault and handled many misdemeanor cases that led to a dismissal of the charges.